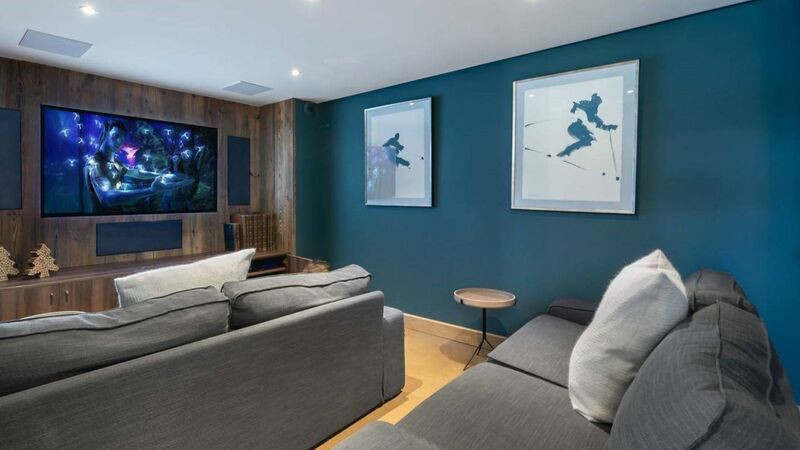 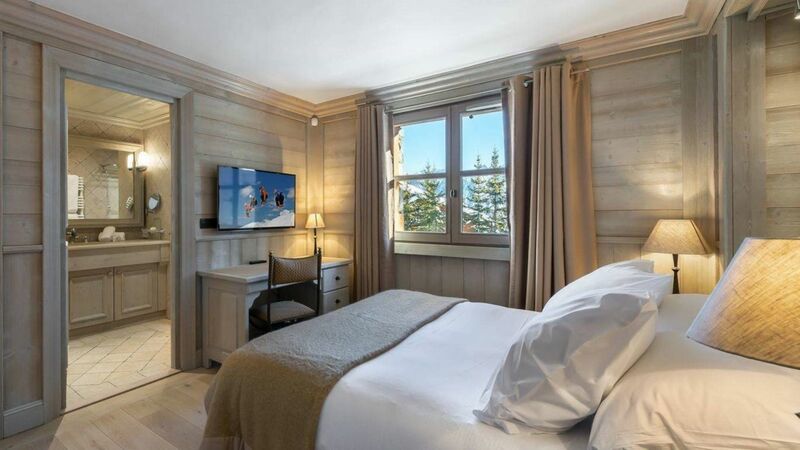 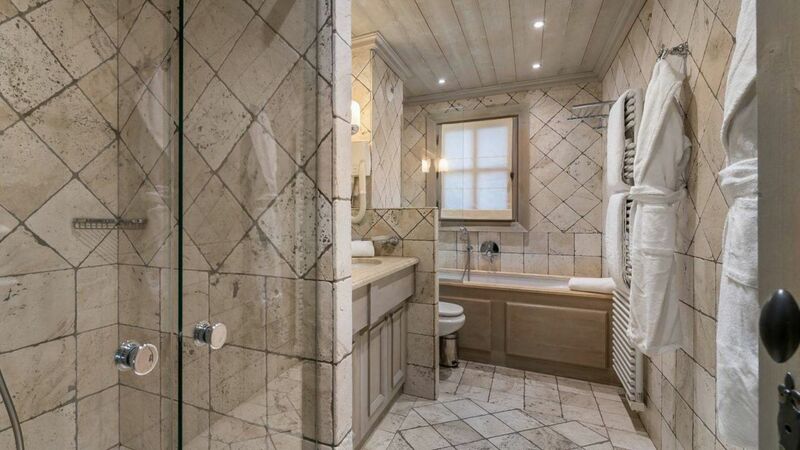 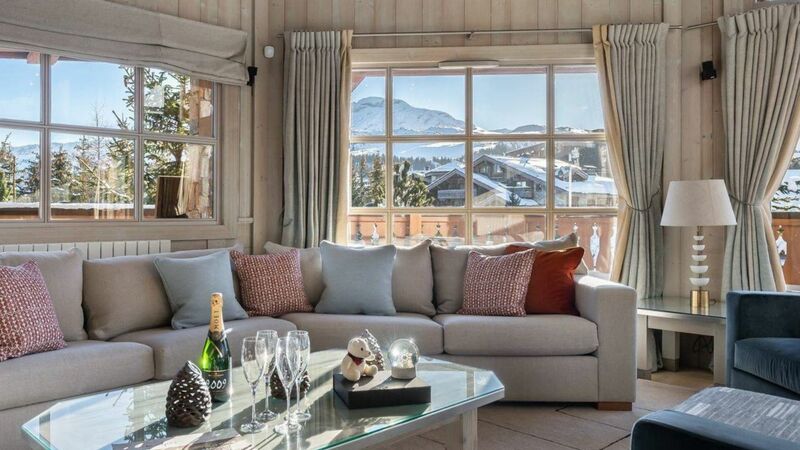 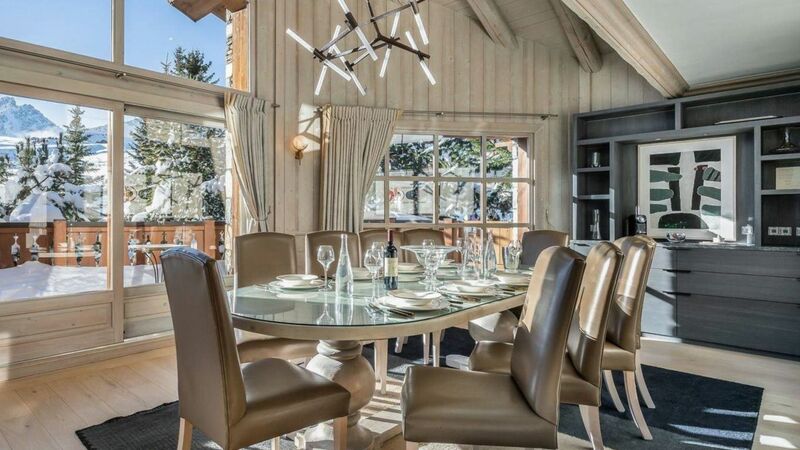 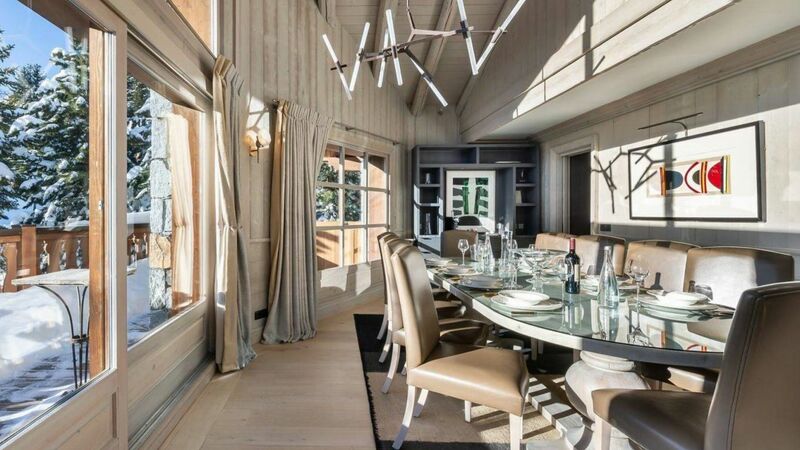 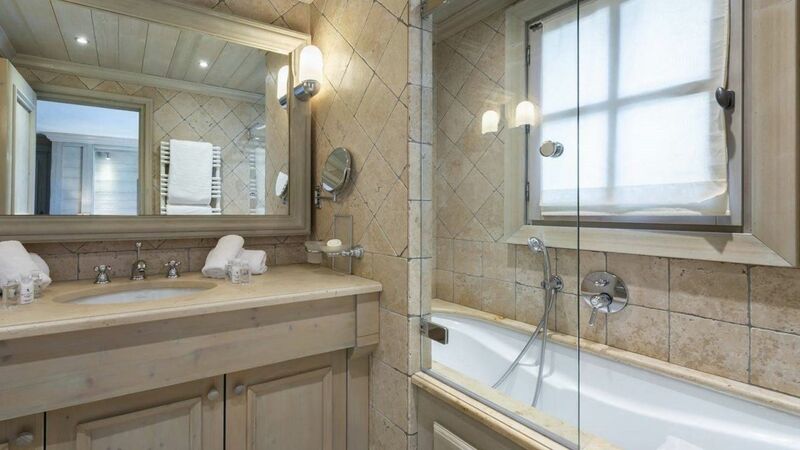 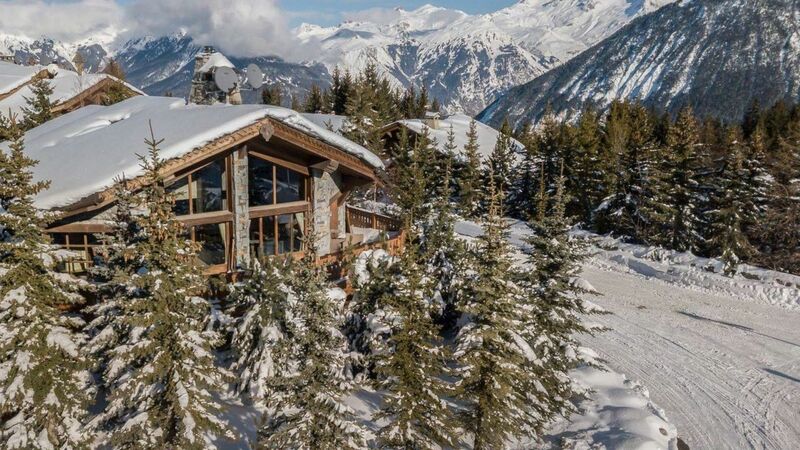 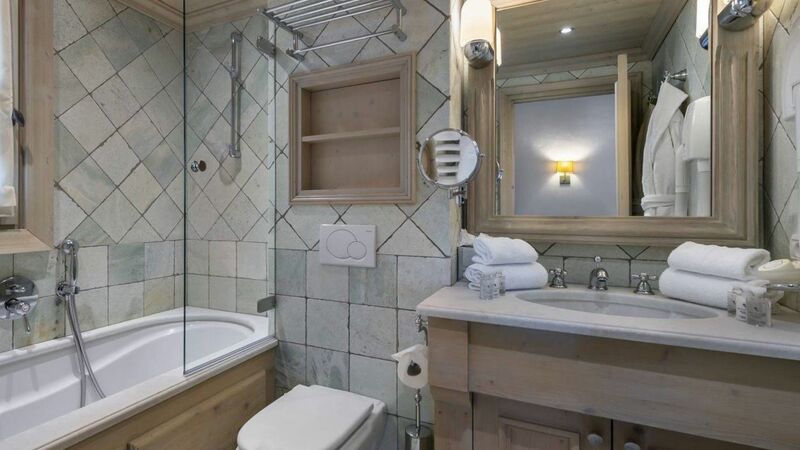 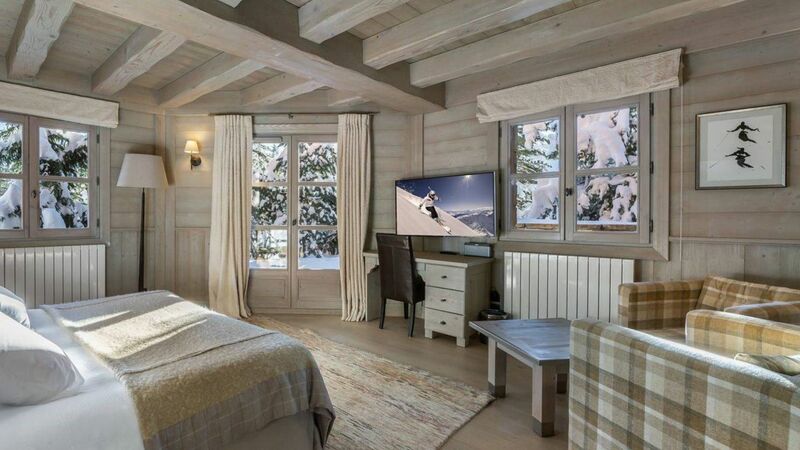 Chalet Elena is a private ski chalet, conveniently located in the Nogentil area, in Courchevel. 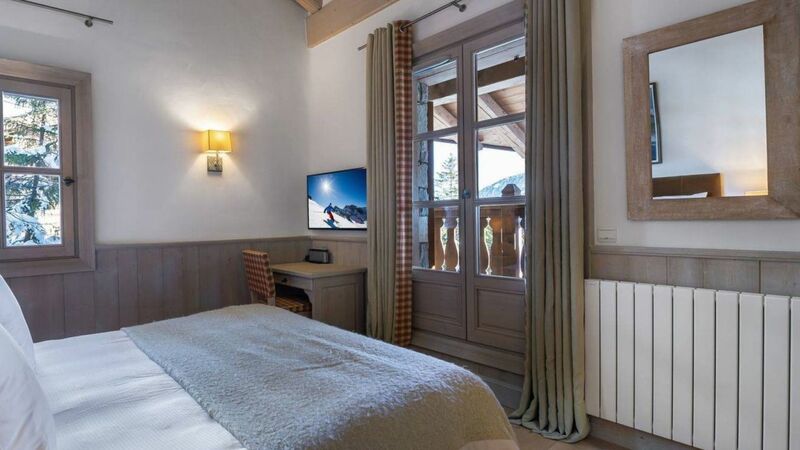 It is just 50 meters from the Pralong slope and 1,5 km from the resort centre. 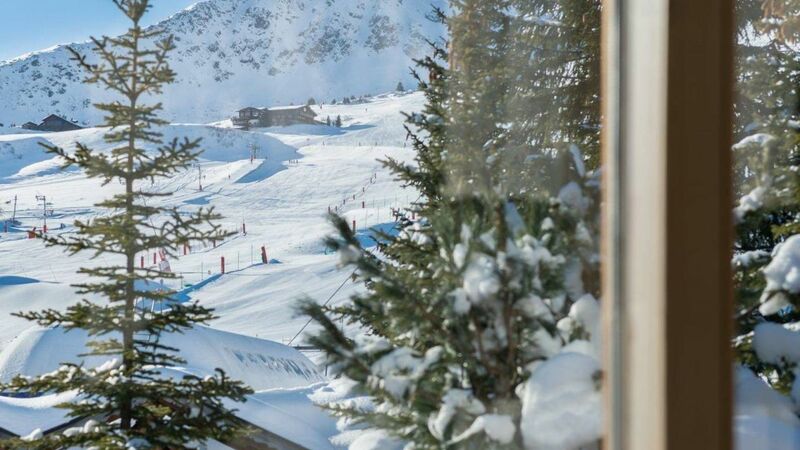 The prestigious resort of Courchevel is 2h30 from Geneva airport, 2 hours from Lyon airport and just 30 minutes from Moutiers train station. 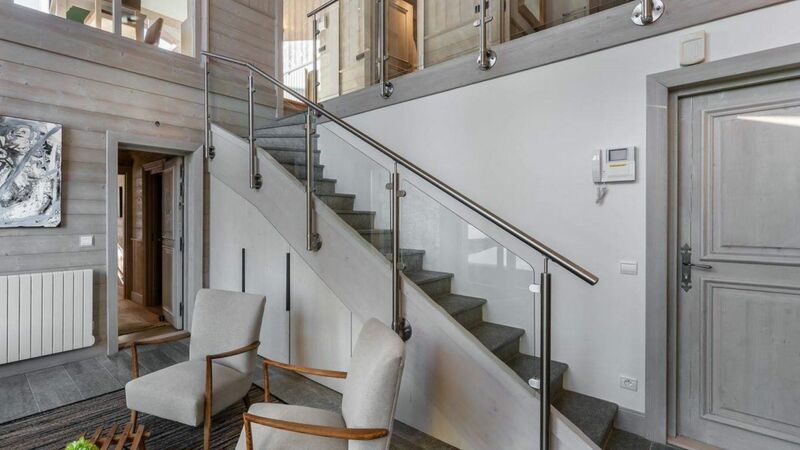 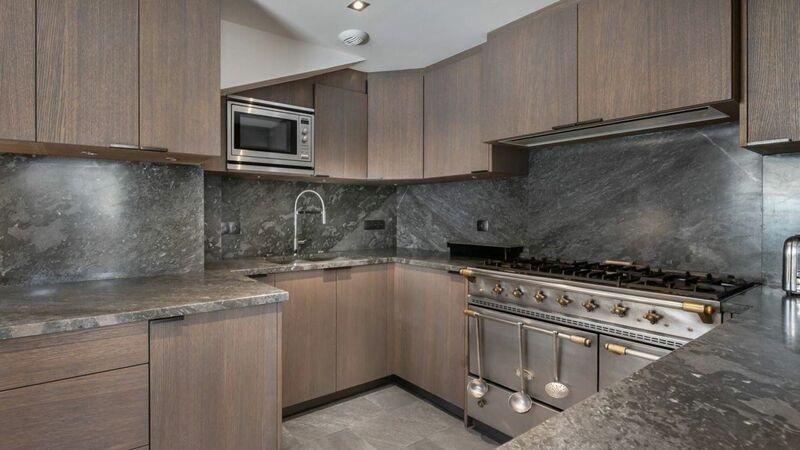 Entering the delightful wood and stone home, you immediately feel at ease in the open living room with a beautiful wood burning central fireplace, surrounded by the dining area and fully equipped kitchen. 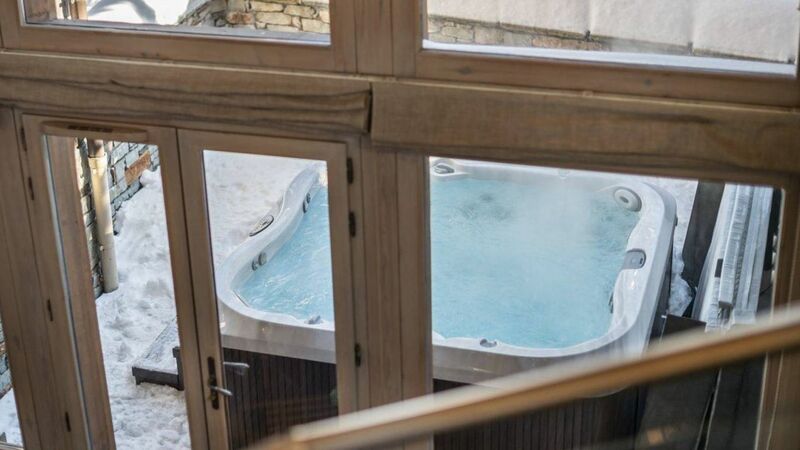 From the inviting hot tub on the south facing balcony, leading from the living area, you have a lovely view over the Pralong slope. 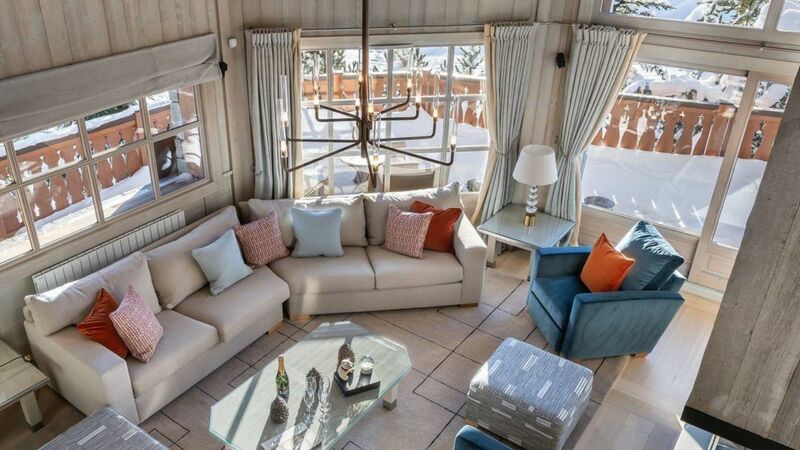 Looking down on the central atrium with tall double storey windows and a lounge at the bottom, you have an unobstructed view on the bright snowy surroundings. 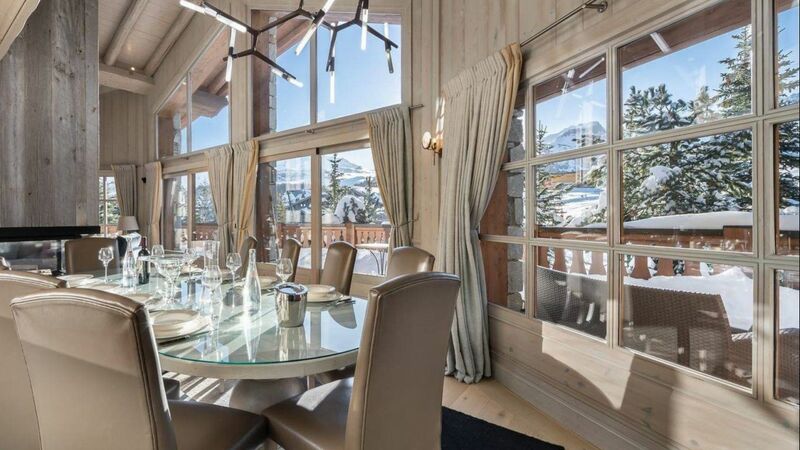 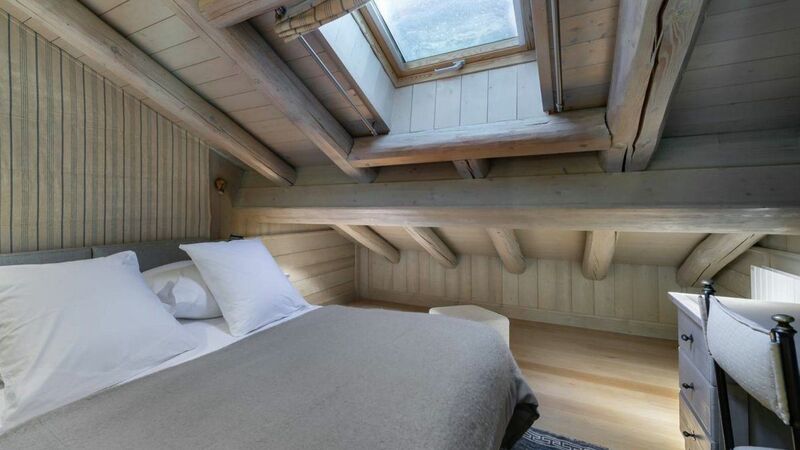 Ten guests can be accommodated in the five bedrooms of the private chalet. 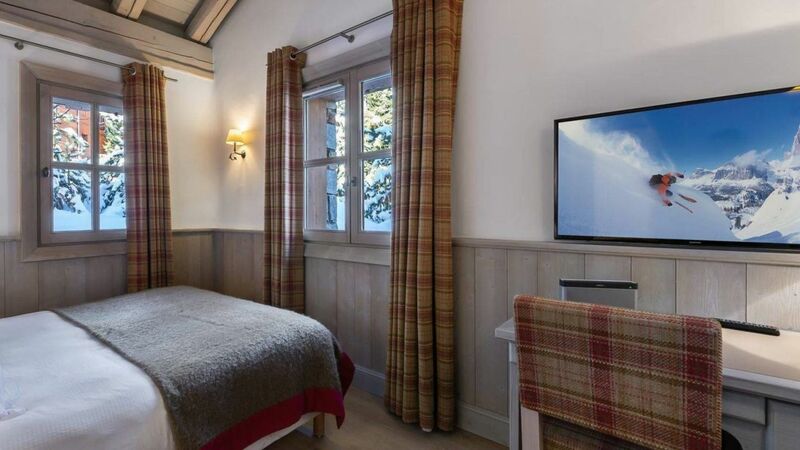 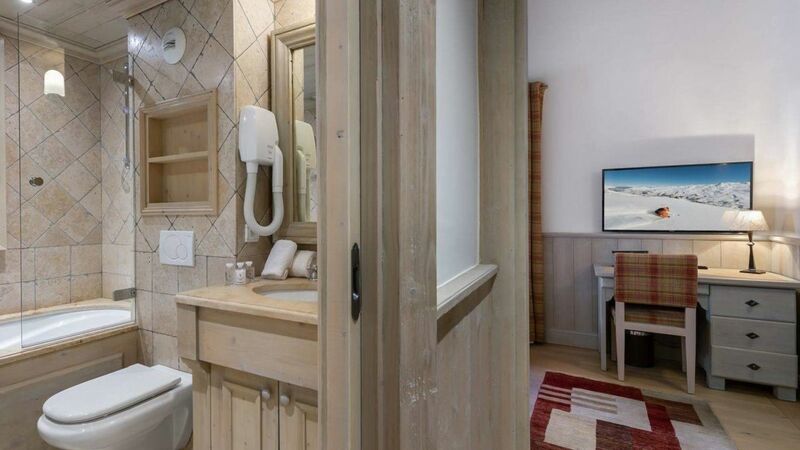 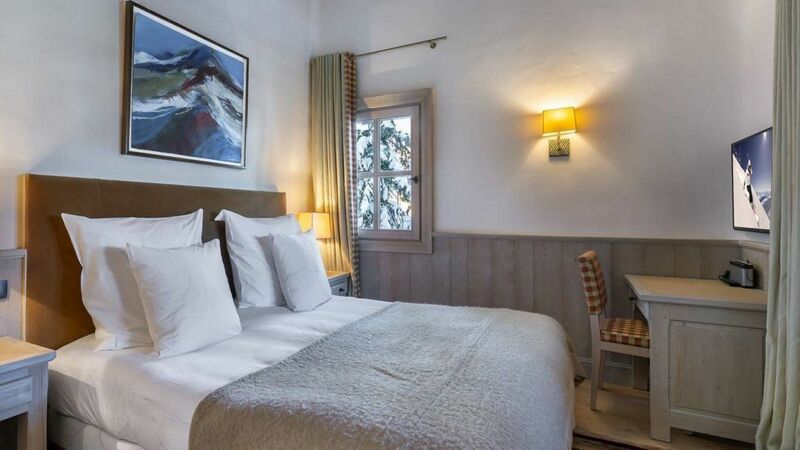 In this chalet, you will never have a dull moment with fun, relaxation and exercise walking hand in hand. 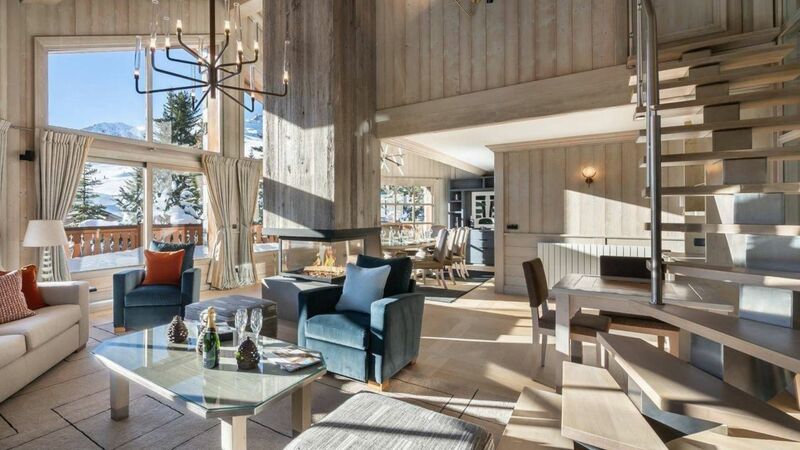 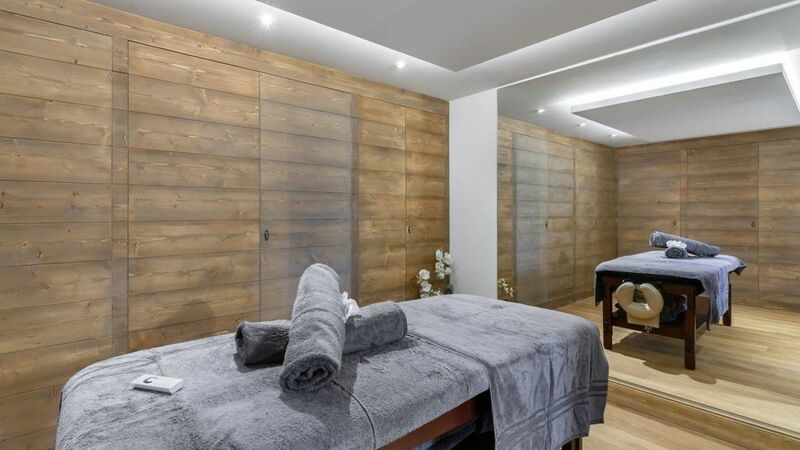 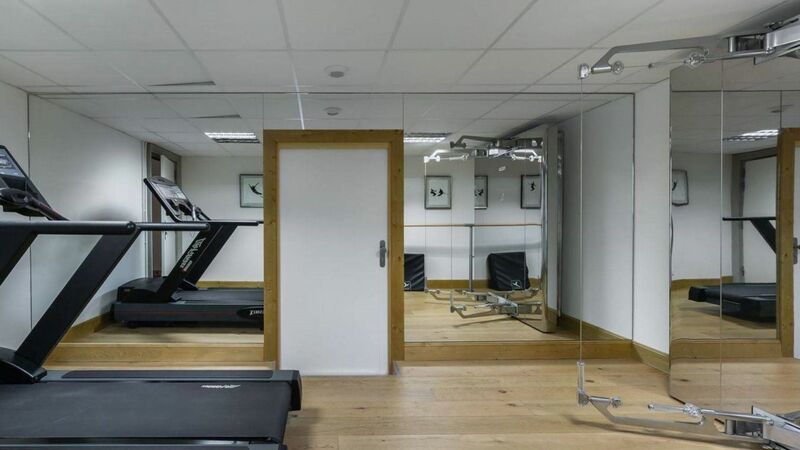 A playroom has a pool table and table-tennis table, the massage room takes care of those sore skiing muscles, and the gym keeps you fit for another round on the slopes. 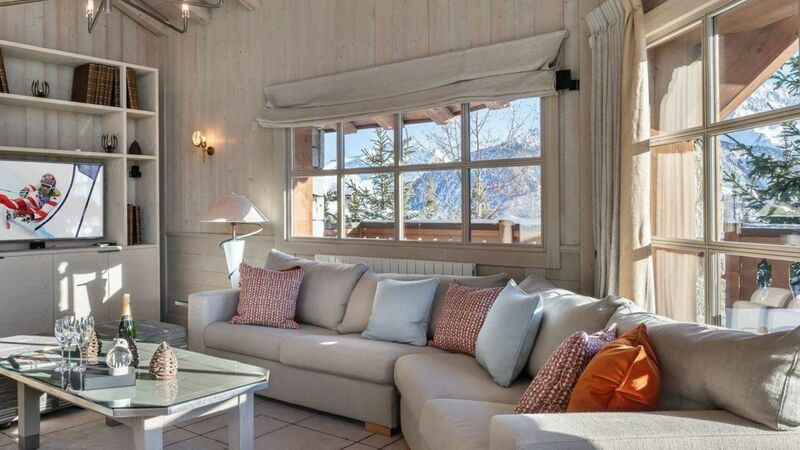 From the garage and ski room with boot heaters you have easy access to the slopes, just 50 meters away.